Kaweco of Germany has been producing fountain pens since 1883, a time when the humble dip pen was the writing instrument of choice. 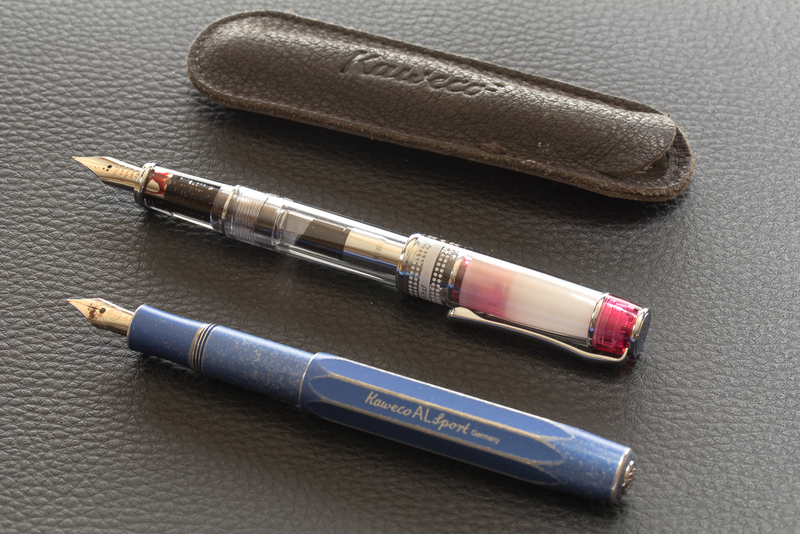 The first pocket fountain pen from Kaweco appeared in a catalogue for pen holders in 1908. The company has had a rich history of pen production and those who say that fountain pens are a thing of the past can look to Kaweco for an answer. They are clearly here to stay! Kaweco has it all. Full sized pens like the DIA 2 or Student (see a wonderful review of the Student by our friend Gourmet Pens), teeny tiny pens like the Liliput, amazingly crafted metal tubes with a nib stuffed in the end! And of course the Sport. The Sport first made an appearance in 1911 and was advertised as a safety pen for ladies, officers, and sports guys! In 1913 the short safety pen was advertised as the Sport-Series and claimed to have the safest closure in every situation. The Sport went through several designs until 1934 when it became the pen we know today. 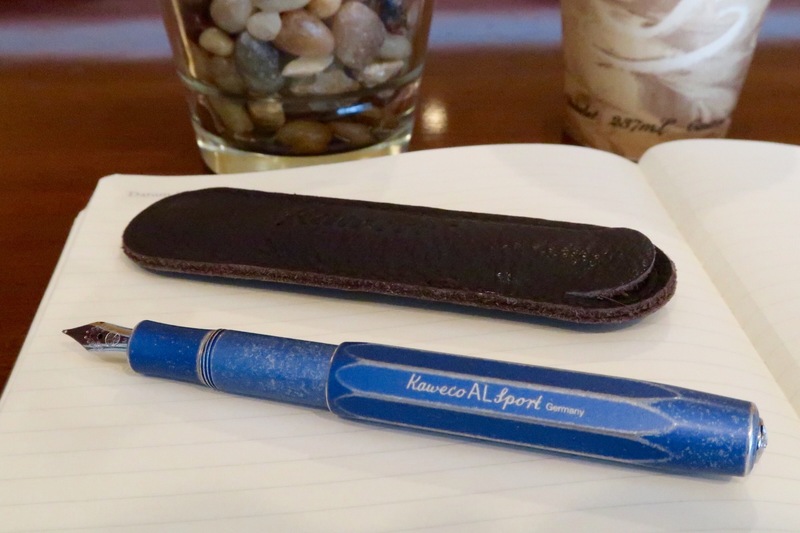 Premium pens from Kaweco, such as the AL Sport, have one distinct advantage over their lower cost counterparts. Replaceable nibs! This wonderful design makes Kaweco stand head and shoulders above many other manufacturers, the majority of which require you to purchase an entire front section of the pen in order to replace the nib. Not so with Kaweco. Simply hold the nib between a thumb and forefinger and unscrew from the front section. Replace with another and start writing! Consequently you will find Kaweco enthusiasts with a collection of nibs that give them the ability to change line thickness or writing style at a whim. The Sport fits easily into a pocket and promises not to become uncapped as you go about your day-to-day business. The pen comes in several flavours. My travel buddy of choice is stonewashed blue. You also have the choice of stonewashed black. And they really do look like denim that has been through the ringer a few times. There are even stranger choices such as brass, or raw polished aluminium. This pen develops a character of its own as it gets scratched up and dented. Customers are warned away from purchasing this pen if they don't like scratches. While you can easily throw the Sport in your jeans pocket and not worry about any accidental mess, Kaweco also manufactures a selection of pouches that are designed to protect your pen. My favourite is the Buffalo single pen pouch. This pouch is nice to the touch and adds a certain je ne sais quoi to the whole outfit. The Buffalo has a softer leather than other pouches and both pen and pouch are head turners when in a room of biro users. There are a couple of downsides to the Kaweco Sport. Firstly the pen barrel is short and this allows you to use only short international cartridges. You cannot store a spare cartridge in your pen. Your only choice of converter is Kaweco's squeeze converter. This works just fine and carries the same amount of ink as a cartridge would, but it can be tricky to use and takes some practice to become a squeeze converter ninja. This problem may soon go away as Sport piston converters have recently been released. We should have them in stock shortly (on a boat somewhere in the Atlantic) but right now Mr. Squeezy is your only option. Kaweco has a line of inks that are a perfect match for their pens. Sepia is my favourite flavour, being a brown-ink lover. I decided that J. Herbin's Terre De Feu would be a perfect ink for this week, however. Kaweco nibs rarely give problems but if you do find your nib skips or doesn't lay ink down the right way then a drop of washing up liquid and a quick scrub (see last week's article on cleaning your fountain pen) should fix that. I highly recommend Kaweco to any fountain pen beginner or aficionado. And by far the most popular seller is the Sport. It's a versatile fountain pen at an affordable price and it brings me a great deal of enjoyment - especially when writing in my journal on a beach in the Bahamas! 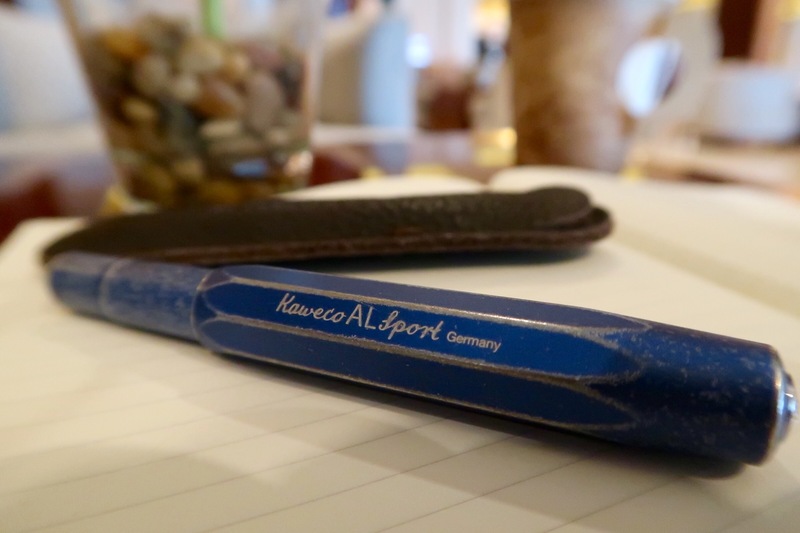 Do you own a Kaweco fountain pen? What do you think? What's your favourite? The Kaweco AL Sport is my first introduction into the world of fountain pens and I absolutely love it! It goes everywhere with my and is a constant conversation piece, bordering on distraction, at work and in client meetings. I ordered mine with a fine nib and added an extra-fine nib shortly after, as mild writing style it on the cramped side of things. Changing it out was super easy. Kaweco’s black pearl cartridges are very nice, but I have really come to enjoy J. Herbin inks in this pen. I do plan to grow my collection, but I also know that my Kaweco will always be at hand.